SONAR 3 provides numerous new and redesigned features. One of its most powerful new assets is the Universal Bus Architecture. With SONAR 3 you are now able to insert as many buses and track sends as you need for each individual project . Now you can have a project that contains zero buses and sends, and one with sixty. In addition, you can freely add or delete a bus or send from a project at any time. 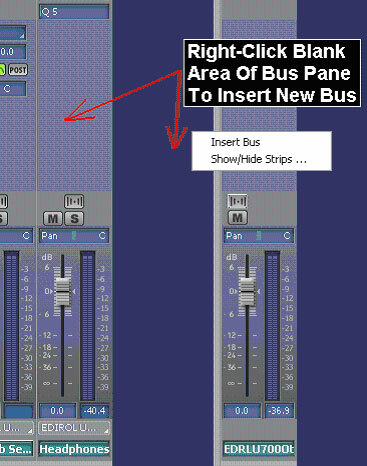 Buses and audio channels can be routed to other buses or any audio output. Therefore, with SONAR 3 you have all of the flexibility and mixing power of a high-end hardware console inside an integrated, user-configurable software interface. In this month's tech tip we'll explore some common studio scenarios using Sonar 3's cutting edge mixing and routing environment. In the past, incorporating external hardware processors into your DAW's mixer was not an immediately available or preconceived idea. Often you had to plan for that situation before beginning the project due to limitations in your software's mixing and routing scheme. In SONAR3, that has changed. While working in SONAR 3, you might have a track that already uses multiple sends for plug-in effects, but if you suddenly want to process that track through a vintage hardware compressor or reverb unit, it's no problem. With your hardware's I/O connected to your audio interface, you can either create a new track send, outputting to that effect, or simply re-assign the track's main output to the effect. For the return signal from the effect we'll use a new audio track and assign its input to the same input the effect is plugged into. After enabling that audio track for monitoring, you have now created an effect send loop for an external processor, all without compromising the tracks internal plug-ins. Naturally, this procedure can be repeated for as many processors as your DAW can handle. If you need to create a headphone mix with SONAR 3, the process is similar. Start by inserting a new bus. Assign its output to go to your headphone amp, and insert any desired effects into the bus's insert point. 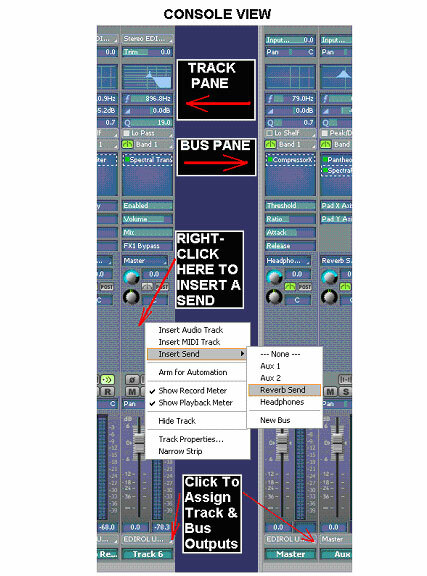 Because buses contain all of the same parameters as tracks, minus recording of course, you can freely insert, copy, or rearrange effects at any time. 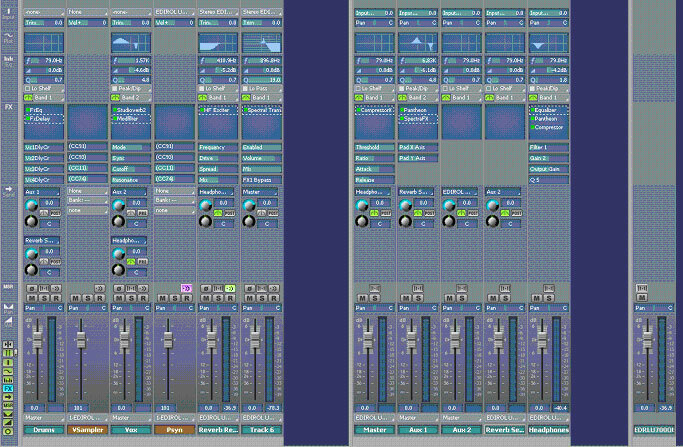 In addition SONAR 3 Producer provides integrated six-band, fully parametric EQs on all tracks and buses. So, once you have your headphone bus set up all you need to do next is add a send from any track in the project that the headphone mix requires and adjust the levels. With SONAR 3's new Universal Bus Architecture, dynamic subgrouping, signal routing, and effect processing is not only quick to set up and easy to use, but provides virtually limitless mixing possibilities. Start experimenting now and you'll surely discover new mixing methods.